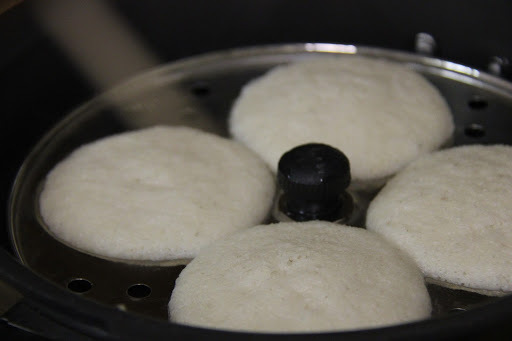 Idli is a south indian steam rice cake made with black gram and rice which is ground and let to ferment overnight which gives it a soft and airy texture. 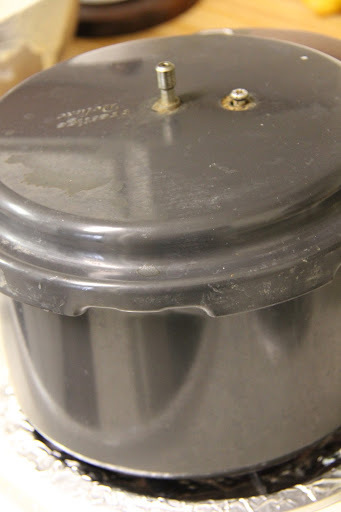 1.Heat water in a pressure cooker or Idli cooker. 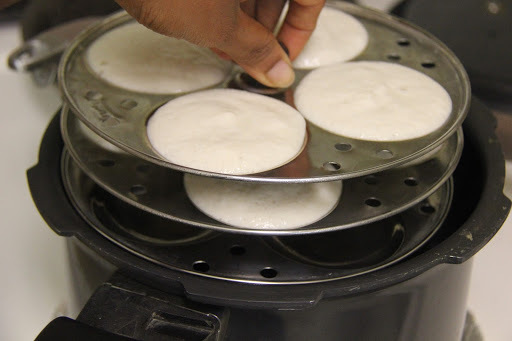 Grease your Idli moulds and pour batter from the bottom up stacking the idli plates. 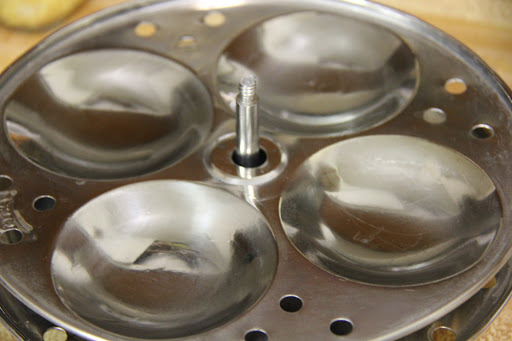 2.Place the Idli plates in the pressure cooker, place the lid and remove the cooker weight. 3.Steam for 12 minutes. 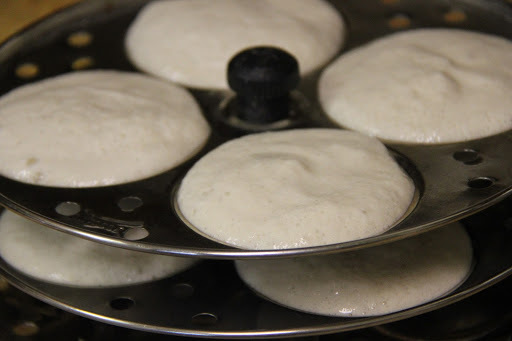 Remove the cooker from the stove and let sit for 2-3 minutes before gently scooping out the Idlis. 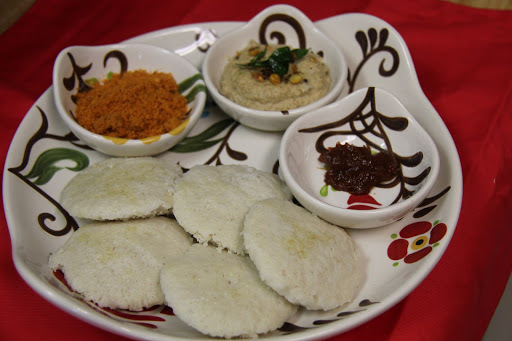 Idli can be served with peanut chutney/tomato peanut chutney,peanut podi or coconut chutney.